Our Learning Enhancement Centre was opened in September 2013 and is a suite of three rooms purely devoted to one-to-one or small group support. The provision extends itself to all pupils with additional learning needs, including Learning Support, English as an additional language and the Gifted and Talented programme, thereby benefitting as many pupils as we can. This enhances our individualised teaching and learning ethos which flows throughout our school, offering pupils a unique experience. All pupils have the opportunity to learn both French and Spanish in our Modern Foreign Languages department. However, pupils with Learning Support needs have the opportunity to continue with both languages, take one language or spend time in the L.E.C. following an individualised scheme of work based on their needs. A dedicated team, led by Mrs Lines, Head of Learning Support, will be available to provide this support and oversee the programme. Dyslexia Inspired, run by Sue Faulks (PGDip ADDS + APC), a highly experienced specialist teacher, visit the L.E.C. once a week. They offer individualised, one-to one tuition on our site, which will support your child’s educational psychologist report. They are also able to conduct educational assessments for pupils and assess pupils for examination access arrangements. 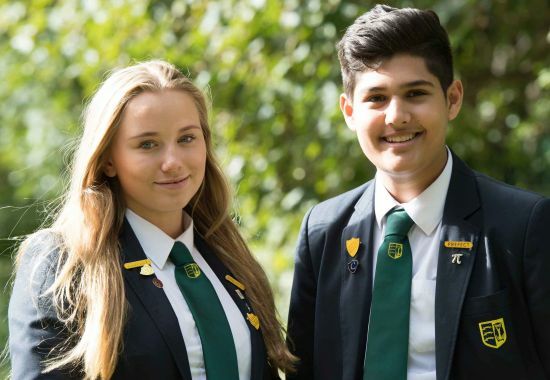 If you are interested in using their services, which are surplus to school tuition fees, please ask Mrs Cox for a letter on admission to the school. 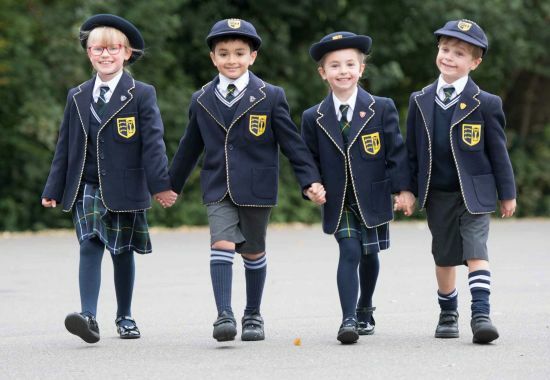 At St John’s School our ethos is based on traditional, inclusive values, including pupils’ personal development, outstanding academic achievement and personalised provision and support. We offer a caring and secure environment where pupils are very happy and hard-working. We have a stimulating, exciting and varied curriculum in order to foster a love of learning, so that every child can achieve their full potential. In turn, that helps prepare them for further education, the workplace, a worthwhile career and a successful life. Pupils who are thought to have SEND are identified and assessed as early as possible. Resources available to assess your child for SEND support , which are constantly reviewed and updated include. When a pupil enters our setting, we assess their development and ability. Pupils here are constantly being observed, monitored and assessed to ensure that appropriate progress is being made and staff speak with parents regularly, sharing any concerns as they arise. If we feel that there is an area in which the child needs support, this is discussed fully with the parents and an action plan is put in place. Pupils are tracked closely and all progress is recorded and shared with parents. If parents have concerns about their child, they should speak with their Form Teacher in the first instance. Special educational provision is educational or training provision that is additional to or different from that made generally for others of the same age. This means provision that goes beyond the differentiated approaches and learning arrangements normally provided that is of a high quality with personalised teaching and learning strategies. Our school has a Head of Learning Support who is responsible for the management of provision and/or support for identified pupils with SEND. They will also coach and support teachers to enable them to provide appropriate assessment and individualised provision for pupils in their class with SEND. All teachers are teachers of pupils with SEND and as such provide quality first teaching which takes account of the particular individual needs of pupils with SEND. Our Early Years provision follows the principles and commitments of the Early Years Statutory Framework which involves parents in identifying needs, deciding outcomes, planning provision and seeking expertise at whatever point if needed. We have a designated Head of Learning Support who liaises closely with staff and the Head of Early Years. We have close contact and regular meetings with our Essex County Council Early Years Area SENCO. Each child is allocated a Key Worker who regularly shares information with parents and tracks all elements of their progress. We have an open door policy and home/school communication books. Parents are able to communicate with staff through communication books, in person or by email or telephone if necessary. In the Lower School and Senior School, pupils highlighted with Learning Support needs have the support from their Form Teacher, Subject Teachers, the Learning Support Department and the Pastoral Team. They will have a Personalised Plan and access to Learning Support lessons. They may also benefit from in class LSA (Learning Support Assistant) support, differentiated teaching in lessons and an intervention program depending on the individual and their needs. There is also the opportunity for 1-1 tuition with a Specialist Learning Difficulties Teacher. Our setting creates excellent learning and development opportunities for all pupils. Staff are alert to each child’s needs and plan for the individual. 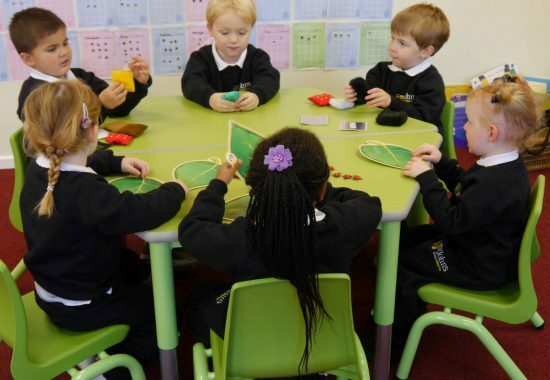 We teach using all styles of teaching: visual, auditory and kinaesthetic, adapting our teaching to the style best suited to each individual child. Teachers and Key Workers always differentiate. Pupils with SEND are supported by the class teacher or assistant depending on their needs. At St John’s we value the importance of working closely with parents and carers as we recognise this leads to the best outcomes for pupils. Pupil support and provision is determined with the best outcomes for the pupil, which includes relevant academic and developmental targets. In accordance with the New Code of Practice (2015), pupil progress and development will be evaluated and reviewed on a termly basis. We constantly track the progress of the pupils. If the staff have any concerns regarding a child’s development, this is shared with parents at the earliest opportunity and a way forward is forged collaboratively. Parents are asked to contribute information about their child from their beginning of their time with us to help the staff understand the child more fully. We hold regular Parents’ Evenings to fully involve parents in their child’s learning and development. Written reports are issued regularly so parents are fully aware of current attainment and progress. To ensure our setting supports the wellbeing of all pupils, we seek their views and take their thoughts and ideas seriously. We reward positive behaviour through stickers and a system of house credits. They are given constant verbal feedback and praise. When medical care is required, a medical information form is completed by the parent/carer and discussed with relevant staff. It is fully actioned to ensure that all staff who have responsibility or come into contact with the child are aware of their particular needs. We have an Admission of Medicine Policy which ensures that pupils’ medication needs are met. Risk Assessments are carried out regularly and implemented accordingly to ensure pupil safety. We have a committed team, selected for their experience, knowledge and aptitude for working with pupils with SEND and are dedicated to the well-being and progress of each individual. The team is led by the Head of Learning Support and includes Learning Support Teachers and Learning Support Assistants. We have fortnightly meetings in order to discuss and implement current updates and to review individual pupils when necessary. All staff are trained in Safeguarding. Many staff also have First Aid training which is regularly updated. Staff undertake continuous professional development in all areas. The Head of Learning Support is a fully qualified teacher who attends regular courses to help support pupils with SEND. We also have In House training on aspects of Learning Support. We have regular meetings with the Early Years SENCO and many other professionals who are in attendance at our setting, eg Educational Psychologists, Specialist Teachers, Speech and Language Therapists, etc. It is our aim for all children to be included on school trips and we will provide the necessary support to ensure that is possible.When planning trips and outings, a full risk assessment is carried out and staff will visit the proposed location prior to the trip. If necessary, parents and carers are included in the planning for their child as to the suitability of activities in relation to the trip. Where it is practicable to make reasonable adjustments based upon the information given and advice received, to enable a prospective pupil to take up a place at St John’s, the school is committed to providing those reasonable adjustments. When considering reasonable adjustments, the school will, as far as possible, have regard to the guidelines set out in the document entitled ‘Reasonable Adjustments for Disabled Pupils’ published by the Equality and Human Rights Commission. We comply with the Equality Act 2010, the Children and Families Act 2014 and SEND Code of Practice 2015. Most classrooms have access to an interactive whiteboard or a projector and whiteboard and the children are exposed to an array of auditory and visual stimuli. If a pupil or parent’s first language is not English, we would take the necessary steps to help him/her to communicate fully with us. After an initial tour and meeting with the Headteacher, all prospective pupils are invited to spend a taster session or day with us. During the day, children are observed closely, giving teaching staff an insight into the child’s abilities. Folllowing a successful taster, the Headteacher will write to parents officially offering their child a place. In Early Years, if a child attends another setting, we will ensure a two-way flow of information with them. On transferring to another school or setting, we always ensure that contact is made with that school, records are sent and children are well prepared for that step. We have a number of Learning Support Assistants and they assist Form and Subject Teachers to ensure that all children are able to access the curriculum and make the progress we expect. We endeavour to source appropriate resources to meet the needs of every individual child. When we have concerns that a child is not making the progress they should, we would, in consultation with the parents, set up an appropriate intervention. Different children will require different levels of support in order to bridge the gap to achieve age expected levels. The type of support would be decided in consultation with the pupil’s teacher, parents and the Head of Learning Support. Parents will be informed and consulted at each stage of this process. Parents/Carers are encouraged to take an active part in their child’s development and education. We have an open door policy and parents are always welcome at St John’s. Opportunities are offered regularly for parents/carers to visit and see how their children are progressing. We also invite parents to help at appropriate school activities and to attend many school events such as fetes, concerts, Sports Day, etc. We have an active PSC (Parents Social Committee) who support the school through fundraising.